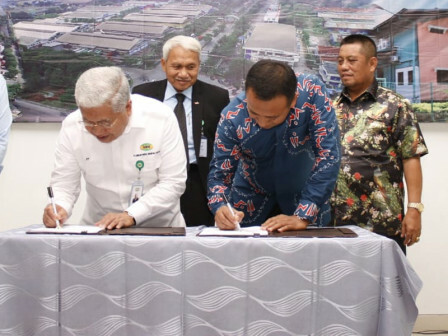 The state-owned PT Kawasan Berikat Nusantara (KBN) along with the Takalar Regency, South Sulawesi, signed a Memorandum of Understanding (MoU) related to regional development.
" We talk about land availability, management and what kind of cooperation is it"
PT KBN Business Development Section Head, Anom Wibisono said that both agreed to develop industrial estates. Considering Takalar has a 1,000-hectare land that can be developed. "We talk about land availability, management and what kind of cooperation is it," he expressed, Wednesday (1/30). They are ready to release land soon. "Including give per mit and so forth," he said.